We have often written here—offering books, ideas, resources—to remind customers that we are all called to live creatively, engaged, alive to delight, intentional about making the world a better place (to God’s glory.) As Andy Crouch’s much-discussed book, Culture Making (IVP; $20) reminds us, we are made in the image of a Creator, after all, and it is natural that we humans make stuff. His book is not for artists, really, but for all of us. The sub-title is Recovering Our Creative Calling. It is one of the most truly interesting books I’ve read in years—what new ideas, what old ideas put in new ways, what insight, what fun writing about omelettes and courthouses, spelling changes and church buildings, teaching children to eat new foods and how those with power might serve the poor, why small initiatives are best hatched among small groups and why “third places” are vital to ongoing cultural renewal. No, this isn’t about being artsy, but it is surely about how God has made us to be active and aware of the “horizons of possibilities” that are inherent in God’s unfolding, interesting, messy, complex, beautiful world. His Culture Making website is pretty darn interesting, too, by the way. Beth and I and our H&M staff see our bookish ministry here as enabling that kind of vision, that kind of work, amongst our customers and friends and clients. We are glad to be a place which suggests and recommends authors who encourage this attentiveness to the world around us, the world that Jesus died for (John 3:16), to offer books that are then read, pondered, discussed, applied. We are in this together, you and we, and we are, as Andy argues, culture-makers. We would be so, so pleased if a few customers got their church group or book club or reading circle to buy a bunch of Culture Making. You will be pleased, too, I’m sure. We often think of Calvin Seerveld’s extraordinary book (still in print, published in the 70s) Rainbows for the Fallen World (Toronto Tuppence Press; $25.00) which explains that there is an aesthetic dimension to all of life. No reductionism (“time is money” or “we are nothing but chemical reactions, brains in motion” or “whatever works” or “we just have to preach the gospel”) can adequately account for this call to respond to the multi-dimensional goodness of creation; our technocratic culture too often seems not to have time for such things, but there is no denying this aspect of our lives. We are, all of us, living in God’s world, a world which by its very structure calls forth a response to the good gifts of color, texture, tune and type that is built-in to the creation, like a rainbow gift of common grace from God’s good hand. The first chapter of the Gospel of John and the first chapter of Colossians (among others) teaches that Christ made the world for His glory, gave it to us, for His and our neighbors sake, and it is wondrously good. I learned much of this first from Seerveld, I think, and it shaped how and why we opened the bookstore. We commend his rich meditations again and again, unique as it is, as one of our foundational books that opened up new possibilities of what a “Christian bookstore” could be. Hence, our large selection on the arts and creativity, on film and popular culture, on worldview and social renewal. Etecetra. My point is:…the plastic a man or a woman associates with, the drag or tempo alert to one’s singing, is the place to look for discovering whether there be an obedient or disobedient aesthetic life exercised before the face of God. So: from the joy of the graphic design of your iphone to the ways a silver moon can take your breath away, from how we dress (differently for different occasions) to the appreciation of the feel of the weight of a good book in the hand, or the ceramic mug that you hold as you read, or the comfort of the chair in which you sit, or the beauty of the shade of paint in your doctor’s office, there is a truthfulness to all of this. And some Christian scholars believe that there are norms that can guide us into appropriate response to this, that attentiveness implies responsiblity. Of course, we need not be artists, properly speaking, to be open to and deepened by the aesthetic dimension to be found in every thing in life, but we may need some help. Could artists help? Could Christian scholars and authors help the artists, who themselves may not have thought this through faithfully? Can we, together, learn how the aesthetic dimension of life needs unfolded in distincively Christian ways, that our spiritual formation should include a richer aesthetic life? s straight, in solid, no-nonsense non-fiction. Of course, even a good sermon or biology text or history book or training manual can honor God’s invitation to be beautiful, well-designed, colorful, creative…no one is exempt from the call to be playful, slanted just a bit. Rainbows for the Fallen World also reminds us that being aware of, tutored by, steeped in, God’s colorful world and the habits of being imaginative that form from such tutelage, is a practice/persuasion to help us read the Bible better, learn better, and know God more deeply. An obvious, simple example: if one (or one’s faith community) is practiced in reading poetry, it is reasonable to think that one (and one’s church community) will read the Psalms more faithfully and fruitfully. If one is fluent in stories and storytelling (perhaps by listening to skilled songwriters, or by reading short story collections) one will perhaps have “ears to hear” the parables of Jesus. Lew Sweet once suggested to me that kid who grow up on fast-paced MTV-style, jump-cut cinematopgraphy may understand the imagistic book of Revelation better than her logical, printing press father. Well, as Peterson suggests, the Bible does, quite often, “tell it slant.” As Bruce Cockburn said in a song years ago, “you need the poet and you know it.” Except, of course, that some of us do not know it very well. And, so, this stuff matters. It matters for those who desire to be obedient to God’s foundational command, His first great commission (Genesis 1:26-28) to be those who cultivate—creative history-makers and culture-shapers. And it matters to those who want to stay alive in this bureaucratic world, those who want to live well, be fully human and humane. Although the Bible didn’t say it exactly this way, it is important to recall that the great thinkers of antiquity linked the good and the true to the beautiful. 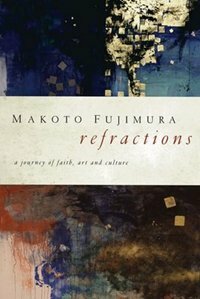 All of this I write to once again remind you of the opportunity to own the new book by Makoto Fujimura, Refractions: A Journey of Faith, Art, and Culture (NavPress; $24.95.) It is a great book to introduce you to these kinds of themes, easy to dip in to since the chapters are short and all stand alone, or as a particular artist’s take, a great follow-up book to a general study of Culture Making, or something (like Rainbows…or It Was Good) on the importance of the aesthetic side of life. unity to explain himself, ask big questions, ramble through contemporary art, modern dance, a movie or two, tell of a trip through an art museum, wonder about how ideas take hold and last. I don’t say it lightly at all, and it is not mere rhetorical flattery, but this wise young man may be a sort of prophet. God has given him extraordinary gifts, insights, and abilities and a passion to communicate wisely; he has thus far stewarded them well. His calling is to make good art, to do good work, but he is also positioned not only to speak carefully into the mainstream art community and to be a “public intellectual” but also to inspire and network others who want to work in a collegial spirit of artistic purpose and hope. From his work with the National Endowment for the Arts to his ministry with IAM, and, now, significantly, with his handsome new volume, he is a person who is worth paying attention to. I am not going to be too allusive here, now: we hope you consider buying Refractions from us, perhaps giving a few as gifts to encourage those who have artistic leanings, interests in culture, or anyone who may want to ponder life’s biggest questions—Makoto and his family lived through the terrorist attacks in his neighborhood in lower Manhattan on 9-11, after all, and writes and paints about it (and many other serious topics) with nuance and care. We truly, truly, recommend it. It is, in its own way, a rainbow gift for this fallen world, lovely and light, yet important. Please see our special price offer if you’d like to give one away, shown below. On September 11, 2001, musician and composer William Basinski peered over the East River from his loft in Williamsburg, Brooklyn, and watched in horror as the Twin Towers fell. He had been scheduled to interview for a job at the World Trade Center that morning. When I visited him a few days later, Billy told me that he had begun to lose his desire to continue to work, or even to continue to live, after that day. He, like many other artists, felt devastated by the experience. His heart was oppressed by fear and anxiety. I prayed with him that day, and when I returned a few days later, he told me he had begun work on a series of compositions called The Disintegration Loops. I listened to the Loops, with Billy while we looked at the footage of video he had taken of the sunset over the smoke of the fallen towers (see photo on opposite page.) The sound of Disintegration Loops resonated and somehow completed itself in my mind. It affirmed an idea that came out of conversations I’d had with artists around my home and studio in what was now Ground Zero. As artists, we needed to gather our thoughts, pray, and reflect on what had happened. 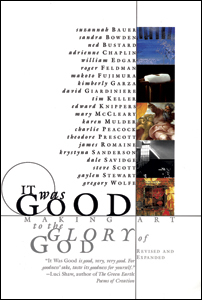 …As he worked on the new composition, Billy also helped me to begin TriBeCa Temporary…TriBeCa Temporary ended up being over twenty exhibitions, happenings, prayer meetings, and poetry readings until our closing exhibition in April of 2001. 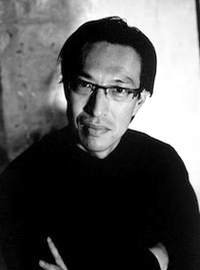 My studio mate, Hiroshi Senju, kindly contributed a small space, which Billy called our Ground Zero teahouse…. You simply have to read the rest of the chapter as he tells without sensation of the healing power of the arts, the significance of aiding artists to respond to social crisis, and God’s gracious work, even amidst our own disintegrating lives. One symptom of the cultural disconnection between the art produced in cities and the cultural realities of regional America is evident in the media. The media feeds upon the fragmentation and fear between the urban and the agrarian. Journalism today seems content to operate only in sensationalism, echoing the same systemic ills of the art world. This disconnect affects us all, contributing to a greater cultural disengagement and to distrust and cynicism. But the fine arts do serve as upstream sources of cultural expression, for good or for ill. Therefore, we need to begin to address the source—if we are to effect positive change. Fujimura talks about Christian cultural reformation, speaks of art as peace-making, writes about his own efforts of living into his vocation, offers considerable and astute interactions with the ideas about art, and even shares personal stories (such as a fabulous telling of taking his teenage son on trips for college visits, or a trip with his boys through China.) Some of his pieces, though, are about how he is affected by viewing great art. I loved a chapter, for instance, where he describes his feelings as he took in a Fra Angelico showing at the Metropolitan Museum of Art. It raised questions for him of what ideas and work of today might last for 500 years (“the opposite of the Warholian 15-minutes of fame.”) He notes the frustrations of mid-career 50 year-old artists iwho have worked hard at their craft, now in their prime, who are considered passe—how SoHo galleries give huge showings to just-out-of-art-school faddish kids, who are quickly replaced by the Next New Thing. And how the church seems to no longer have the ability to nurture life-long artistic sensibility or sustainable visions of how life ought to be for the very long haul. art scene. They may even be atheists who by the very essence of their denial have to appreciate the sheer weighty anchor of Fra Angelico’s paintings. Atheism demands a language of belief to wrestle against. Fra Angelico’s paintings are undeniably Christian to the core. Enlightened secularists would be staggering because the Spirit has left them. Atheists would stagger because they have lost the defining opposition. As a Christian, I stagger and grieve because I do not see anyone on the horizon who creates and paints today who would rival Fra Angelico’s angelic weight. In short, we are all staggering about, or should be…those who have eyes to see. That is precisely how we should react to Fra Angelico and the five hundred-year question. We stagger because we have lost even our ability to ask that question. I closed my eyes again, and the angels of Fra Angelico reinvited themselves in. Will we see another Renaissance in the days to come? Will we have another chance to steward our culture, without losing our identity and faith in the process? Byron, thanks again so much! I read a little ways into Refractions last night. I love the chapter on the second wind. Simple point: force yourself to sit down in your [art area] and just start creating. Your inspiration will soon catch up with you.